Point-of-purchase displays are more than just retail shelving units or end-caps. They provide brands with the opportunity to boost sales and attract more repeat customers. In all reality, when it comes to the design of an in-store marketing program, the sky is the limit – especially when you are considering custom-point-of-purchase displays. Companies and brands seeking to customize their in-store marketing can arrange and design their POP programs in myriad ways that appeal to target customers while helping to fulfill sales goals. However, while the possibilities are seamlessly endless when it comes to custom POP displays, there are still some important considerations to make. For example, how effective your displays are ultimately boils down to their design. As such, it’s important that you work with professionals and carefully plan the design, including materials and essential branding elements, so you will have the opportunity to create POP displays shoppers won’t be able to ignore. Taking this definition into consideration, your custom POP displays must have the ability to create a brand experience for your target customers. You want your investment in an in-store marketing program to resonate with consumers, to tap into their emotions and, ultimately, compel them to buy. In order to ensure that your POP displays will provide shoppers with a unique brand experience, consider their ability to entice, engage, and motivate. Entice: This is the point where your POP displays pique a shopper’s interest. 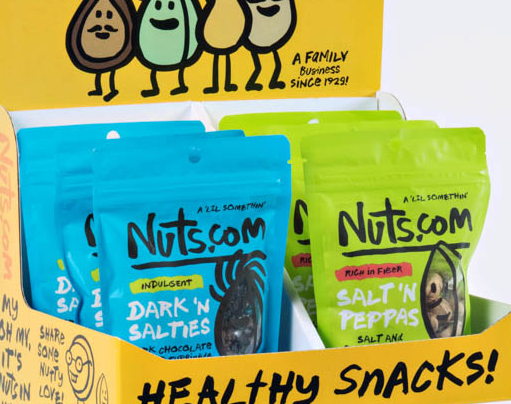 A well-designed POP display must include elements that spark emotion with consumers. Engage: Point of purchase require a variety of elements in order to be effective. This includes alluring copy, attractive images and brand elements, and interactive pieces that will encourage shoppers to think about how they will make the most of the product on display. Motivate: According to experts, the longer your displays are able to make shoppers stop, the more likely they are to buy. POP displays must have persuasive elements that compel consumers to purchase the product or merchandise featured. Creativity is a hallmark when it comes to POP displays. The whole point of an in-store marketing program is to gain as much attention as possible in a crowded retail environment. As such, consider brand elements, including color and fonts as well as messaging, to create the most visually intriguing display as possible. As mentioned above, a well-designed POP display should have the ability to engage shoppers and stop them in their tracks long enough to convince them to purchase. While it’s important to make custom POP displays as visually stimulating as possible, it’s also vital that they don’t lose their message. As such, call on brand guidelines and messaging standards to reinforce exactly what you want shoppers to take away from your display. Another consideration to make when it comes to a custom POP display is to make it interactive. With the development of new technologies, it is now easier than before to promote products in-store using electronic displays. The more creative your interactive display, the better the opportunity to capture the imagination of consumers of all ages. Studies show that today’s consumers like to do some research and gather information before buying something. When it comes to custom POP displays, the design can help move the sales process from the consideration stage to the ready-to-purchase stage by providing shoppers with relevant product information. Whether you have decided to use high-tech interactive displays, or a custom wood display, educating consumers on key value and selling propositions is essential. By providing the public with key information about your product, you not only familiarize them with your brand but influence their decision to buy. Follow the three tips discussed above to lay the foundation for an attractive and effective in-store marketing program. And, most importantly, don’t be afraid to take risks or head in a new and creative direction to grab consumers’ attention. Interested in learning how Metaline Displays with a Twist can help develop a custom point-of-purchase display for your brand? Contact our team today to learn more.